FedTech's waterjet and laser cutting capabilities also come into play in the renewable energy industry. 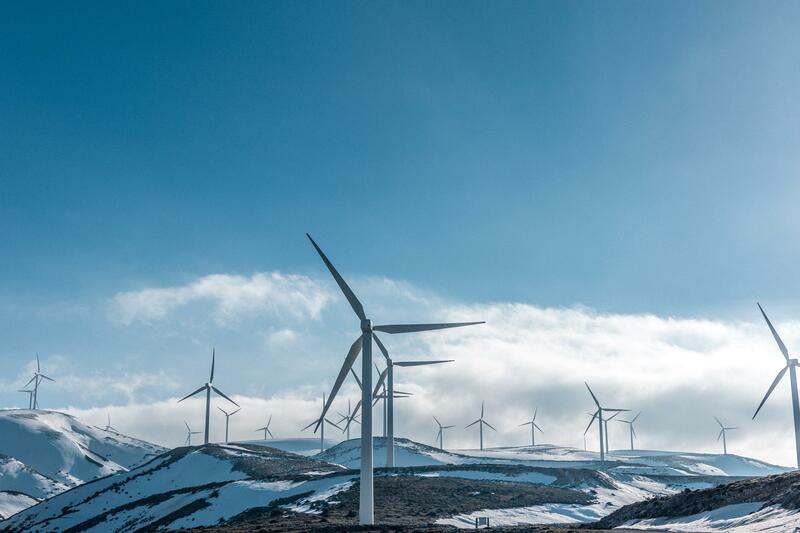 This includes fabrication of parts and replacement parts for companies who manufacture wind turbines, solar paneling, or other energy efficient equipment. We're proud to help green jobs corps in their attempts to better our environment. To help wind and solar companies manufacture parts for their equipment or machinery, we can provide the materials. We can also provide parts and replacement parts for renewable energy devices. With the increasing demand of green energy and the need to keep up with changing technology, FedTech is happy to offer quick quotes and fast turnaround times for customers. Not only do we want to help manufacturers in these fields, but our methods of processing have also been very environmentally-friendly and aimed at reducing waste during production. By reusing and recycling water and material, we at FedTech have stayed friends with the environment since 1996. Renewable resources that we process include: wood, glass (or Macrolux multi wall polycarbonate), sheet polycarbonate, corrugated polycarbonate, SunTuf polycarbonate, acrylic, nylon, PVC, HDPE, PTFE (Teflon), polyethylene, copper, plastics in general, insulation, polystyrene foam, silicone foam or rubber, galvanized steel or aluminum, bronze, brass, synthetic polymers and more. Even in the auto industry, where renewable energy is coming from engine exhaust and into electricity, we are able to process these thermoelectric (TE) materials into your custom manufacturing designs quickly and efficiently. Not to forget titanium products, mostly seen in (but certainly not limited to) defense, aerospace, or aircraft industries. This material is perfect for abrasive waterjet cutting, whether its large or small parts or quantities. With tight nesting of parts, no burrs, and minimal need for secondary operations, waterjet cutting keeps costs low and part intricacy detailed. In your attempts to prevent pollution and resource deficiency, FedTech is here to help. If you have any questions or comments, please feel free to contact us for more information.